For drying materials in the air environment, drying ovens with the range of performance from 50 to 380 ° C are used. 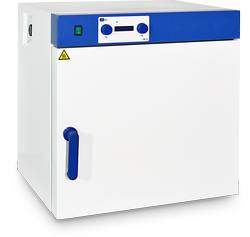 Drying ovens are accessories of any laboratory. They are used for drying dishes, carrying out pycnometric analysis, drying of a number of chemicals. 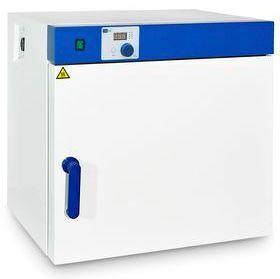 Depending on the task, a laboratory assistant or an executor may use a natural convection drying oven (without a fan) or a forced convection one (with a fan). For drying the material which includes solvent, equipment protecting a laboratory assistant from harmful fumes is necessary. Modern laboratory equipment for drying is produced with a great number of variants: with forced convection system (fans), with a chamber made of stainless steel, with the last generation programmable thermoregulator, etc.